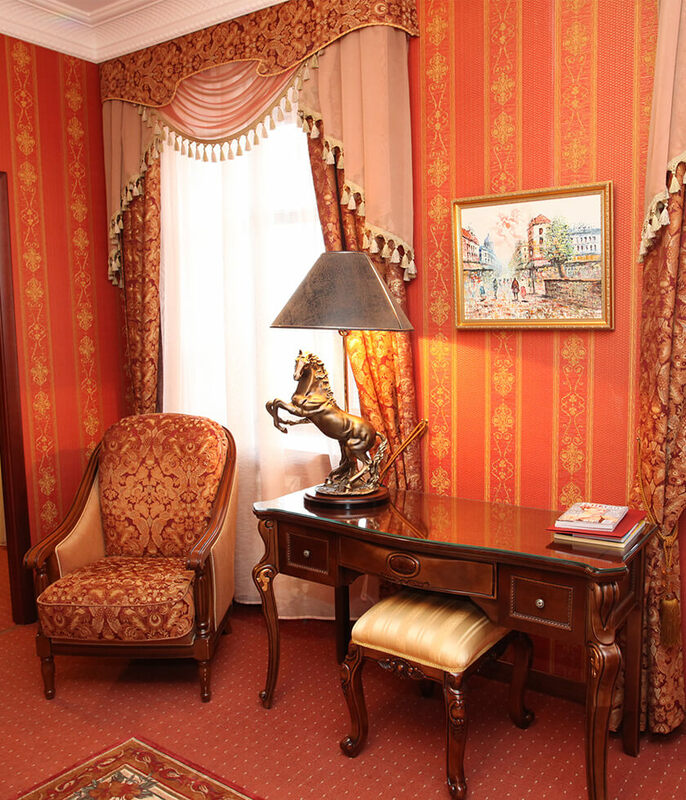 The four-star all-suite hotel “Angliter”, located in the heart of the city of Vologda, relies on the uniqueness and originality, offers tourists and business travelers the exclusivity and luxury. Comfortable, built in the classical style, which has everything you need for work and leisure, the hotel offers exquisite and personalized service. 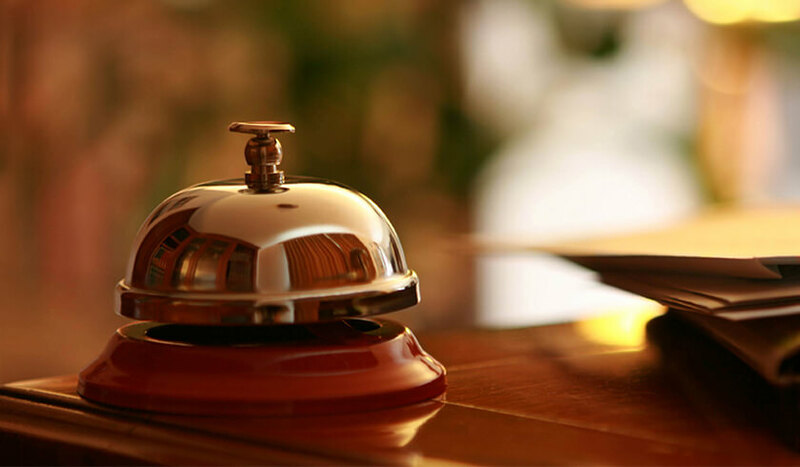 The small size of the hotel contribute to an individual approach to each client, allow staff to treat guests with great care and very carefully to fulfill their requests and wishes. “Angliter” is a world-class ultra-modern hotel, designed for guests who are ready to pay for exclusive and personalized service. Rooms The 25 rooms. The hotel was designed in the classical style: the floor in the lobby and restaurant of granite walls and mahogany furniture. The entire hotel is illuminated crystal chandeliers. The rooms varying degrees of comfort – from the business class to apartamentov.Nomera consist of a single room or several. There is a room with a sauna, which has a separate entrance. 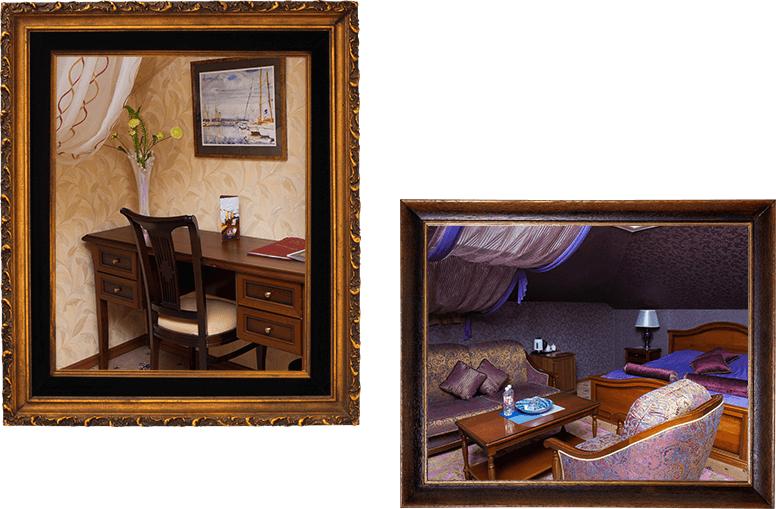 All rooms are decorated in the interior of the English classics, the development involved a professional designer. Each room has a dressing room made of natural marble with a shower equipped with hydromassage. 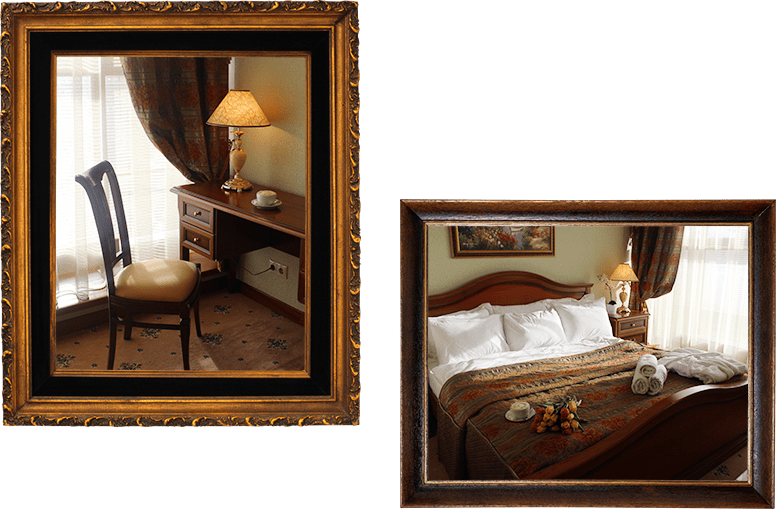 The hotel offers a cozy restaurant with a Russian-European cuisine (breakfast included in the room rate), a business center, travel desk, sauna, beauty salon, souvenirs, free Wi-Fi in every room. The hotel has secure parking, car rental service possible. At the request of the guests we organize a meeting at the airport and railway station, tours of the city of Vologda and Vologda region. Hotel Suite “Angliter” offers high-quality, personalized service, which is based on a high level of equipment rooms, a wide range of services, professionalism and the prevailing atmosphere in the hotel hospitality. 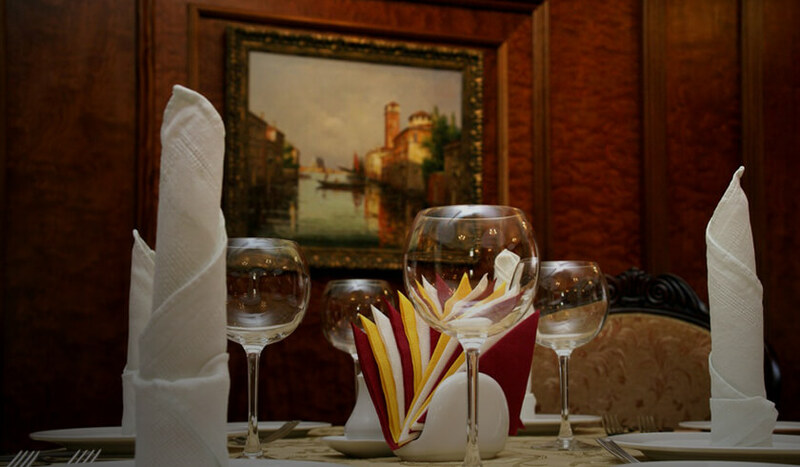 The hotel has a cozy restaurant with a Russian-European cuisine. The design of the restaurant is also decorated in the style of English classics and dishes, which are prepared by our cook, will not leave anyone indifferent. For a good rest, recuperation of physical and mental “Angliter” is pleased to offer you a sauna with a relaxation room. Here you can relax in a hot Finnish sauna and get a burst of cheerfulness and positive emotions. Bridal offers rooms category Suite and Business Class, specially decorated for the solemn event. The gift from the hotel in the room put a bottle of champagne. Beautiful design interiors, a dedicated staff and attention to detail will help you create an unforgettable holiday. On weekends and holidays for individuals discount the day off 15% of the room rate. This offer does not apply for the period of New Year holidays (from 1 to 10 January). It offers guests 24-hour working staff, who immediately respond to requests guests.